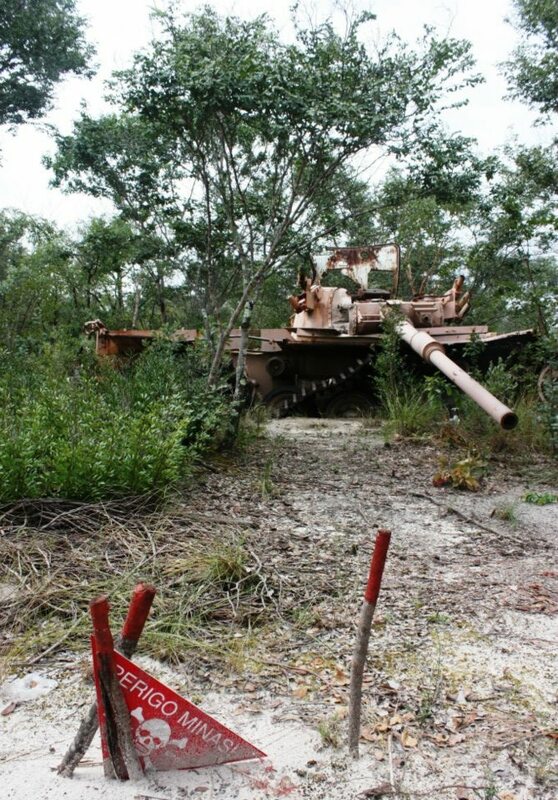 A few years ago, while writing the second edition of the Bradt Travel Guide to Angola, I was able to visit a minefield in Cuando Cubango Province. 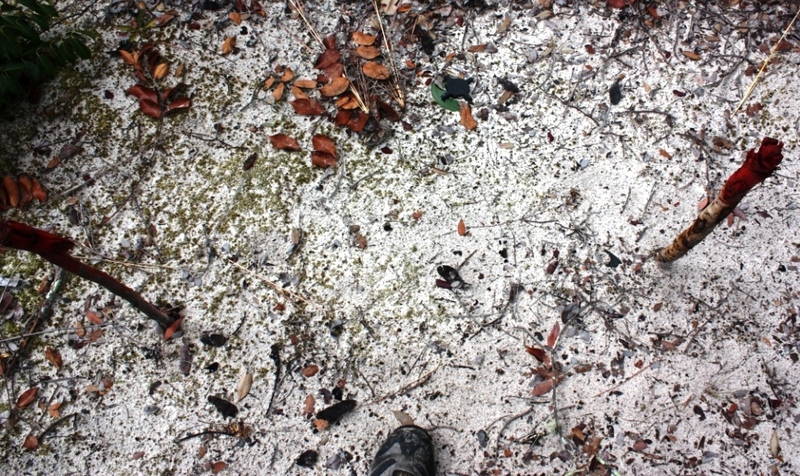 This minefield was around Cuito Cuanavale town, which is still being cleared by The HALO Trust. Cuito Cuanavale is a small settlement in the south-east of Angola, but it is famous as the site of a huge battle during the Angolan Civil War (1975-2002), where Western-supported UNITA troops fought the communist-backed MPLA. 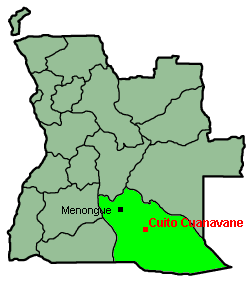 Between August 1987 and March 1988, Cuito Cuanavale saw widespread fighting, not only between Angolan forces, but also involving the South African Defence Force (SADF) and Cuban Revolutionary Armed Forces (FAR). It is often cited as a key turning point in the Angolan Civil War, and although historians on both sides still disagree as to who won the confrontation, it is clear that this battle led directly to the withdrawal of both Cuban and South African forces from the Angolan theatre. 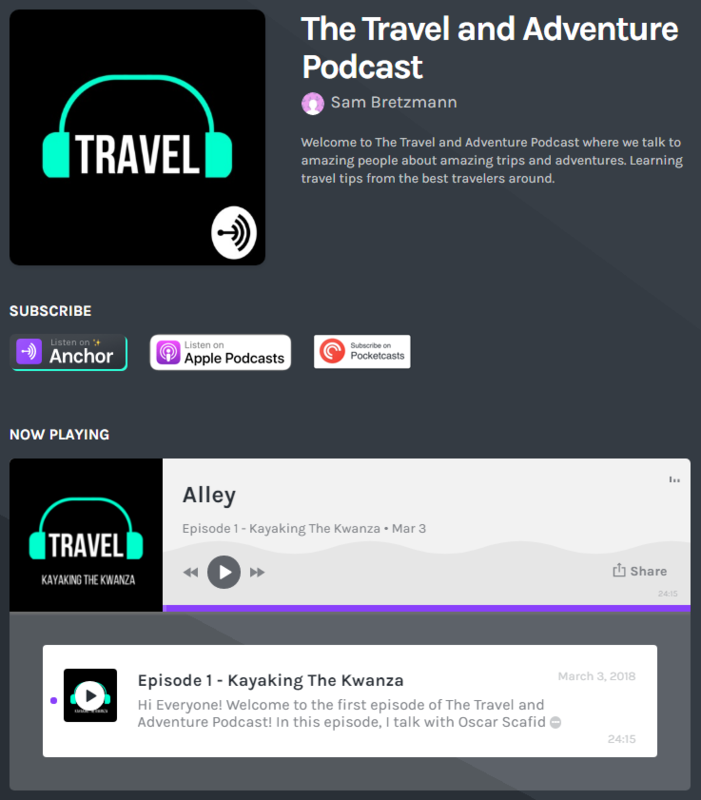 Cuito Cuanavale – a long way from Luanda! Getting to Cuito Cuanavale is not easy. The government had just completed a shiny new airport in town, in order to shuttle in their dignitaries to inaugurate a museum celebrating the MPLA’s glorious victory over the Apartheid South African invaders. However, there were no commercial flights landing here, so it was a long bus ride from Kuito for me. Once dropped off in the nearest large settlement of Menongue, I then took my life in my hands and hitched a lift on an old American school bus, which plied the pot holed route between Menongue and Cuito Cuanavale. Despite the dangerous road conditions, the bus driver, who had spent much of his life in a refugee camp in neighbouring Zambia, was in an inexplicable rush, and we rarely dipped below 100kmph. Lurching wildly from side to side to avoid pot holes, it was a miracle we did not flip over. Despite arriving in one of the most mine-affected areas of Angola, I felt much safer stepping off the bus at my final destination! My guide during the visit was Edson, who ran The HALO Trust’s work in the area. Smartly dressed and very sincere, he told me incredible tales of his time during the civil war, and the ways in which local communities were still feeling the impacts, over a decade on. Edson took great pride in the work that they were doing, helping local communities access new farmland and slowly reducing the ever present threat of losing a limb (or worse) while travelling between villages out here in the countryside. Sadly, I did not have to look far to see people who had been injured by landmines, and only a few days after I left the area, a group of children were killed while playing with a live mortar round they had found in the bush. The HALO Trust has done a great job of demarcating the minefields themselves, so now it is much clearer to the local communities where is safe to walk and where is not. 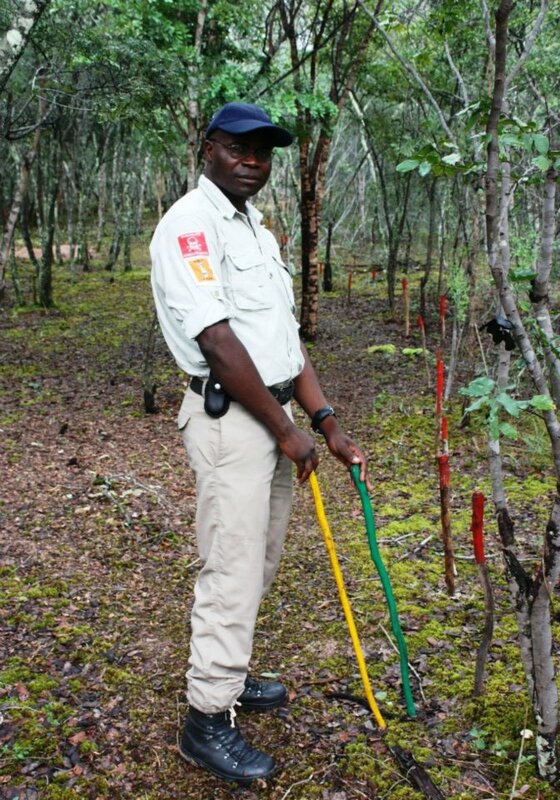 In their desperation for farmable land, many people are working the soil right up to the landmine marker sticks, which indicate danger with a red and white painted tip. Others have been observed knowingly heading into the minefields to collect firewood, taking serious risks. 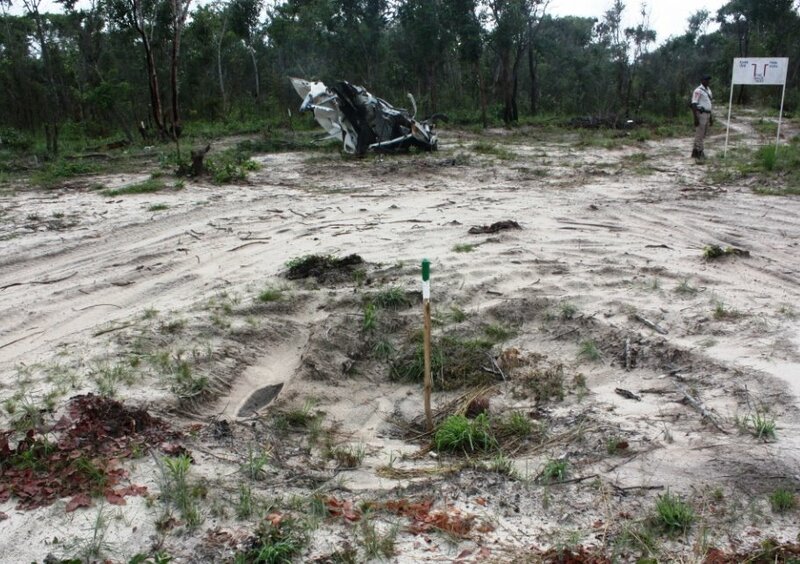 One of the first sites Edson took me to featured the shattered remains of an Angolan Armed Forces Toyota Land Cruiser, which had driven over a Cuban anti-tank mine. The Cubans had a nasty habit of stacking mines on top of each other, or burying further explosives with the mine to increase the impact. The distance the vehicle had flown, from the site of the initial detonation to its final resting place, gave an idea of the devastating power of the explosion. Sadly, all of the occupants were killed. Another landmark in the minefields was the South African Olifant battle tank, which appeared to have become stuck after losing a caterpillar track in an explosion during the battle. 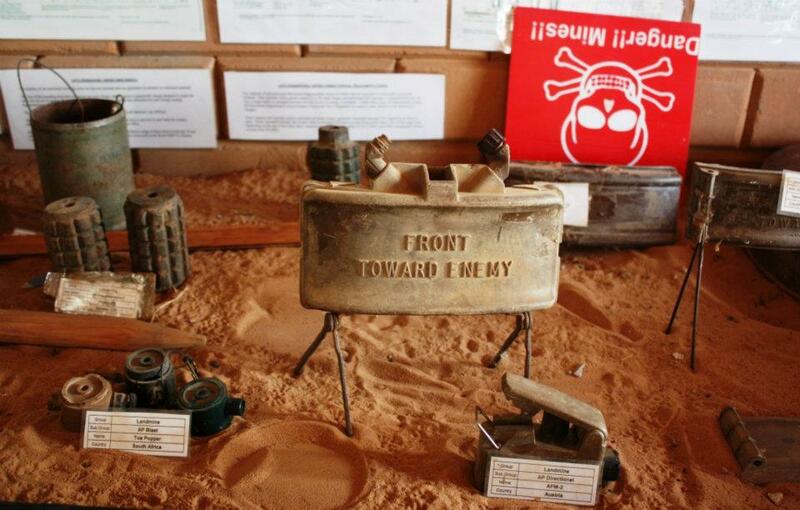 The process of removing mines from the ground safely is painstakingly slow, and despite all the precautionary measures in place, it remains a hazardous job for those undertaking it. Looking around the minefields in Cuito Cuanavale, I was struck by just how many mines there were, both in terms of variety and density. You did not need to be an expert to spot some of them, especially those that had been uncovered by rainfall and simply sat on the surface. There were mines with tripwires, pressure sensitive mines, mines designed to maim and those designed to kill, as well as numerous larger anti-tank mines. My foot behind the red marker poles. Spot the landmine! Dealing with all of these threats in a safe and effective way takes patience and professionalism, which The HALO Trust workers had in abundance. I spent a few nights with them in their headquarters, and was amazed at the austere conditions in which they were working (and the unforgiving weather). The criticism of many NGOs working in areas such as this is that a lot of charitable donations get spent on fat expatriate salaries and white, shiny new Land Cruisers. Not so in Cuito Cuanavale. I stayed in a bare concrete room with no electricity, with our one luxury being firing up the diesel generator to watch a football match on the TV in the evening! 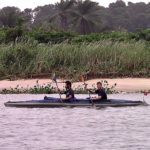 There are years of mine clearance work left to do in Angola, and my visit helped me appreciate both the scale of the problem, as well as what needs to be done to provide a solution. 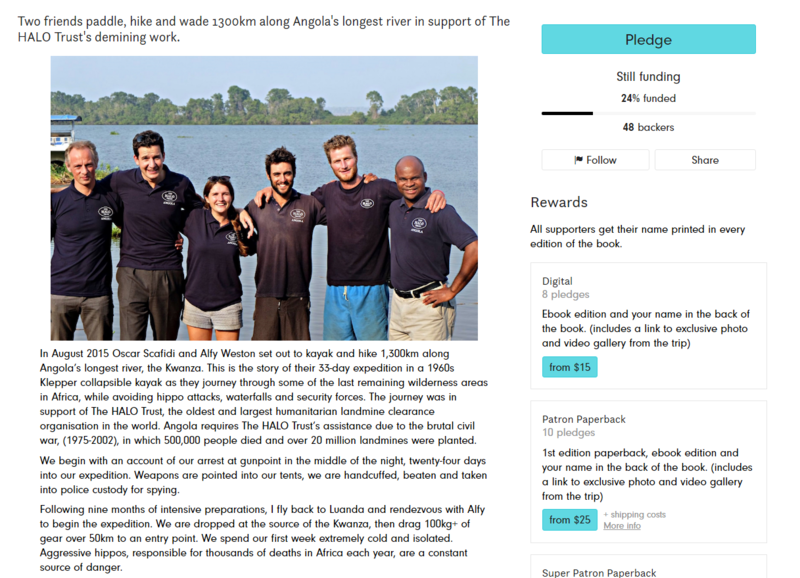 I hope that the funds we raise with our trip help to move Angola towards a mine-free future, which is a definite possibility. Mozambique was once one of the most mine-affected countries in the world, but after 22 years of work by The HALO Trust, in September 2015 it was declared mine-free. 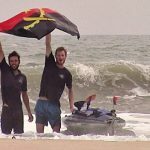 Their aim is now to achieve a mine-free world by 2025, which means focussing on the remaining heavily mined countries of Angola, Afghanistan, Cambodia and Zimbabwe. 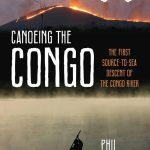 Hopefully this expedition by Alfy and I will make a useful contribution to this effort!